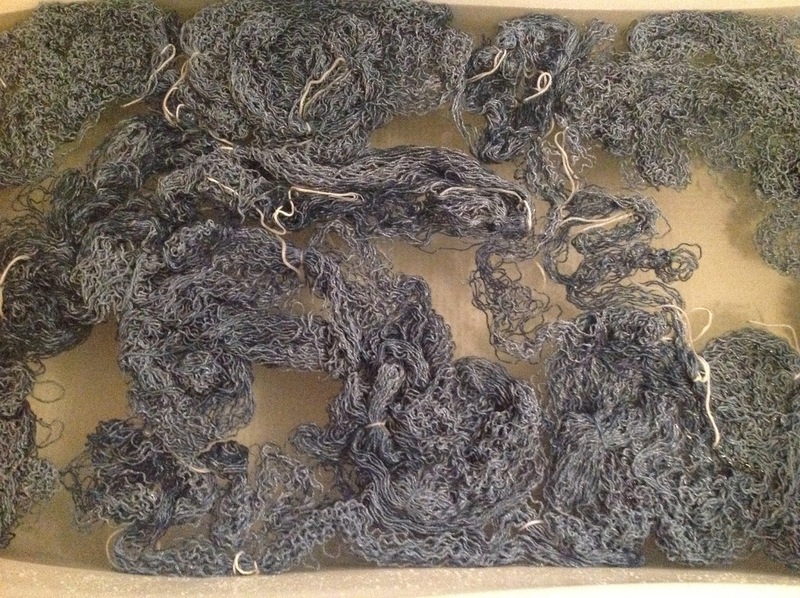 You may have noticed that this year, I didn't write about my Christmas knitting. The reason for that is because I didn't really have any Christmas knitting. 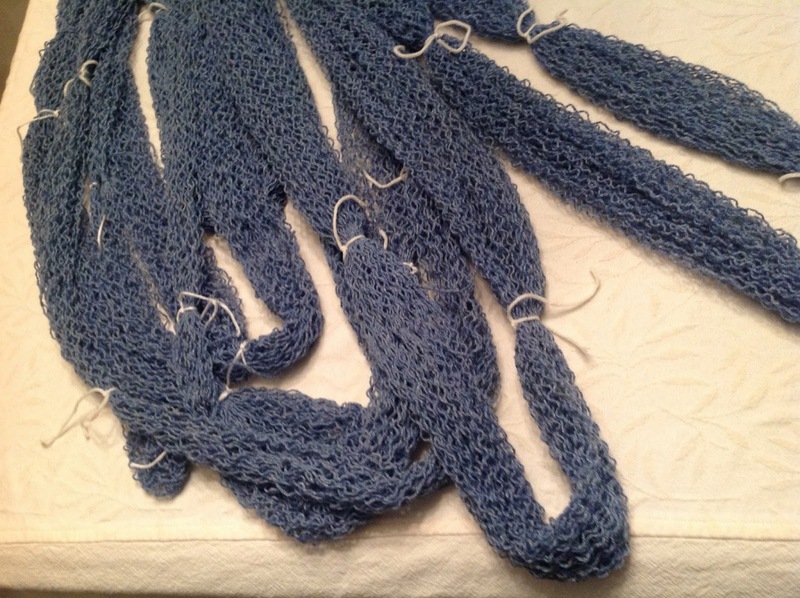 Since my knitting time had been severely limited for months due to working a boatload of overtime, I didn't want to stress out over a knitting deadline. The only knitted gift I gave this year was a vest for my mom. I'm still waiting on pictures of her wearing it, so...another day. However, you may recall that I did some knitting for the holidays last year and one project that I'd intended for my daughter just didn't work out well at all. My daughter got a last minute gift card and as of my post last year, I was pondering what to do with it. 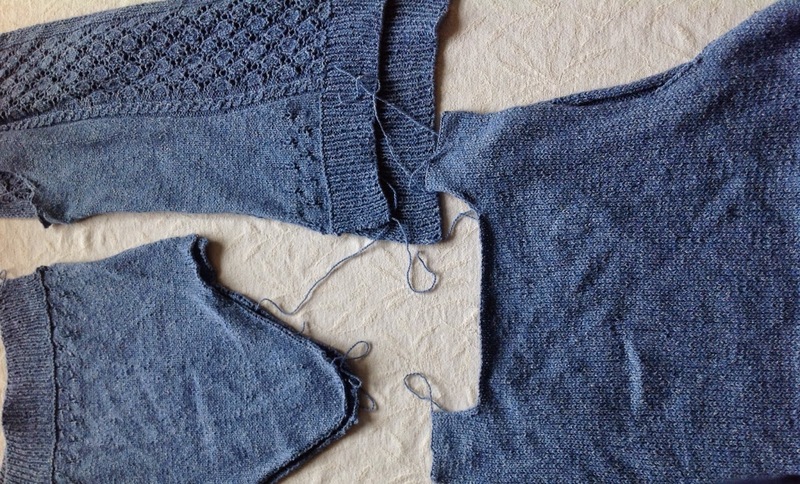 For the entire year, this half-done sweater has been slung over the back of a chair in my craft room. Every time in the last 365 or so days that I would enter that room, my eyes would scan over my messy, lovely yarn stash and land on that chair. That blasted chair with that blasted sweater. I tried throwing another sweater or two over it. A couple of scarves. Yet no matter what, a small sliver of that beautiful blue would peek out from under my attempted camouflage and I was reminded of my failure. I had the last laugh. And that beautiful blue will become something else. Something lovely that fits. Something that sings, rather than mocks. That sounds like it was a very good plan! At least it will stop taunting you now! 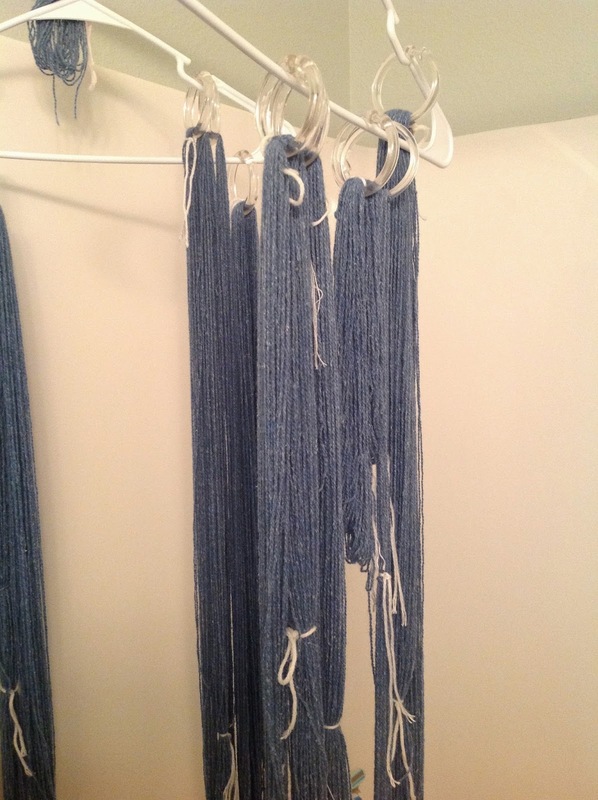 Reclaiming yarn is a great feeling! Think of all the possibilities for it now! Right? 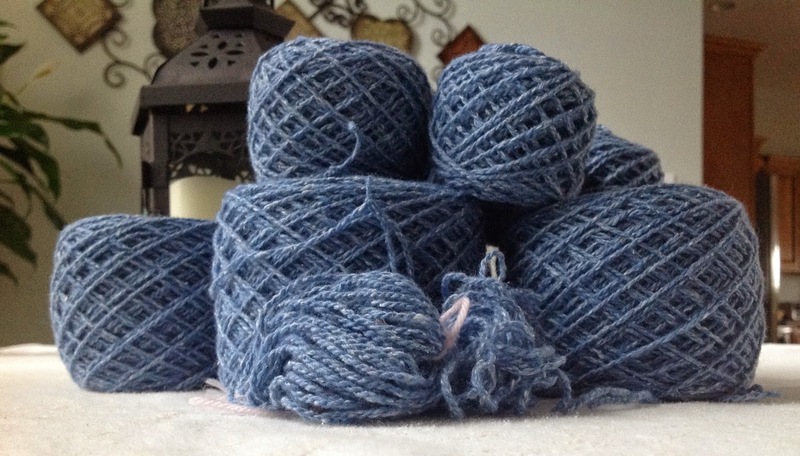 It's like having new yarn all over again! Woo hoo! Haha. Who's laughing now, sweater!? I have a couple projects that need to experience this same wrath.